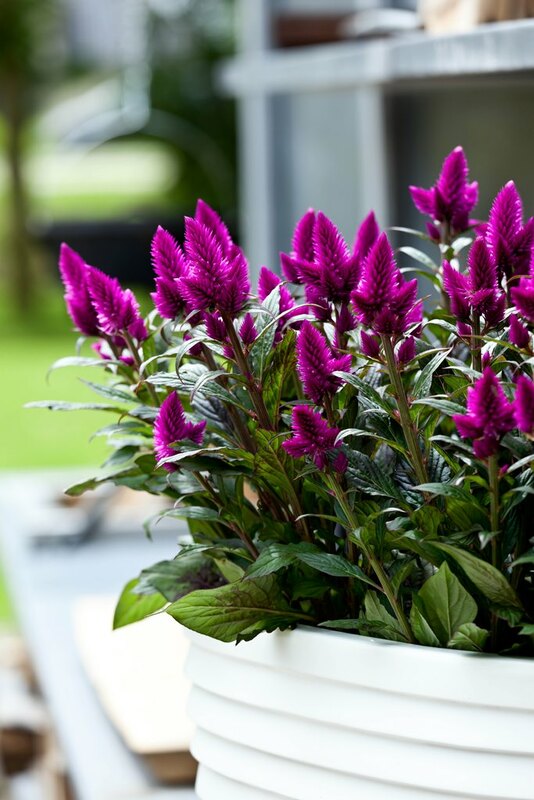 The Celosia ‘Deep Purple‘ is easy to maintain and has a long flowering period, so that you can enjoy the beautiful purple flowers for a long time. I love to put plants like the celosia in big pot’s so that the you get a big wow-effect. This fluffy flower doesn’t mind to be cut and put into a vase together with other garden flowers…..I bet it looks stunning with Alchemilla mollis, Astrantia and Anemone. 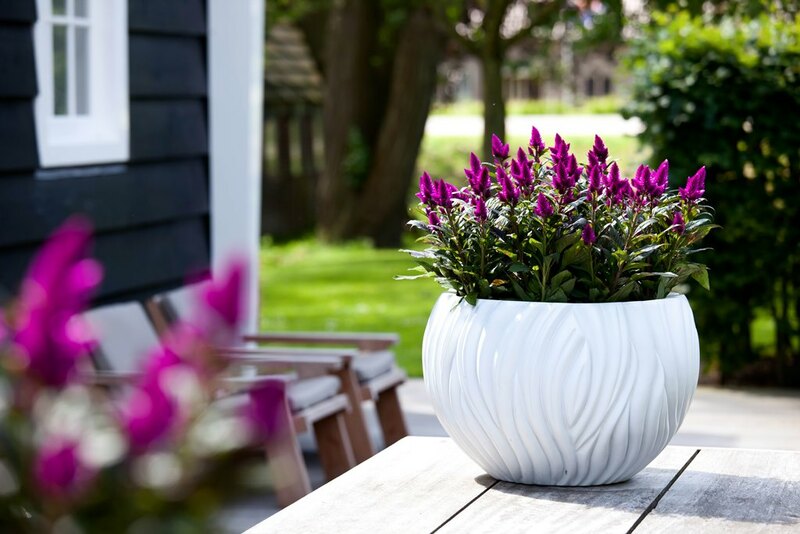 The Celosia ‘Deep Purple‘ will be available from April 2014.